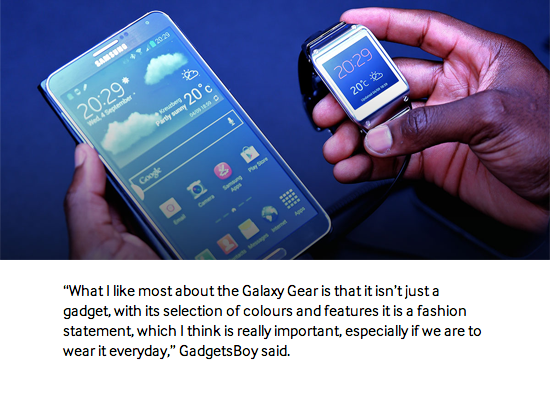 Since GadgetsBoy started, we have worked with various people both in the Technology community and we have also had the opportunity of working with some of the biggest brands in the world of Technology today from Samsung, to Nokia or even the up and coming ones like iT7Audio. We also strive to be involved and deliver beyond what others expect of us in order to deliver results. Whether you are trying to gain exposure, get expert opinion or just want our presence we can help. When Samsung introduced their latest flagship device in the Note range and the latest Smart watch that took the world by storm, we were there to cover the launch and bring the details to our readers using Youtube and our blogging skills, read more here. When Nokia stepped up their game and brought the world their first HD display phablet device and a new Windows Tablet to the market, we were their to cover the event and made sure that our readers and viewers on YouTube knew all about the new devices from Nokia. 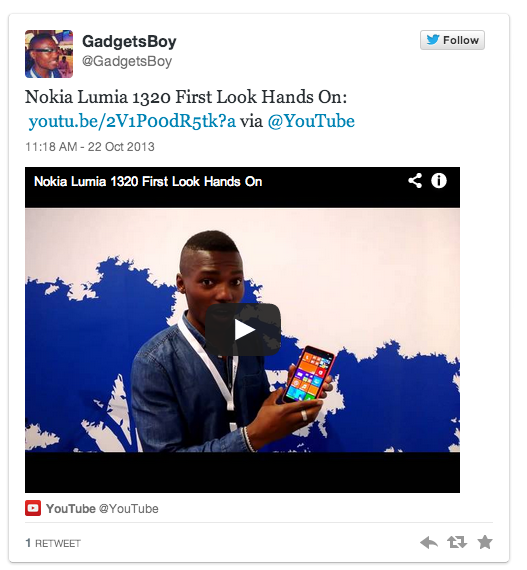 We were also spotted on the irish independent news site and a tweet from Nokia showing the Lumia 1520 and 1020 size comparison which received over 200 retweets.